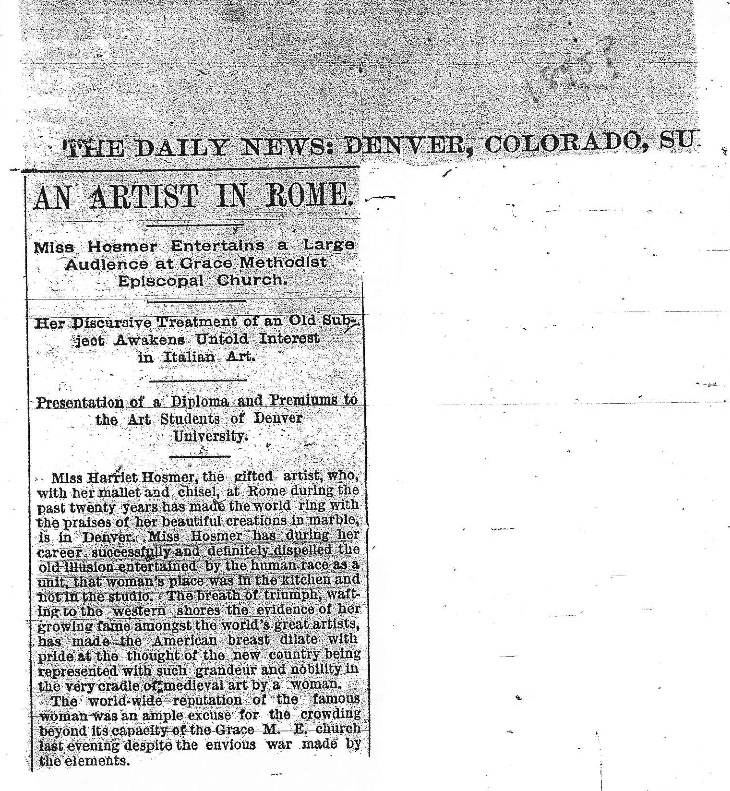 As I mentioned earlier, Hosmer considered Louisa, Lady Ashburton her wife for many years. I am sure they would both applaud Congressman Jerry Nadler’s attempts to repeal the Defense of Marriage Act. I’m pround to call Nadler my representative. 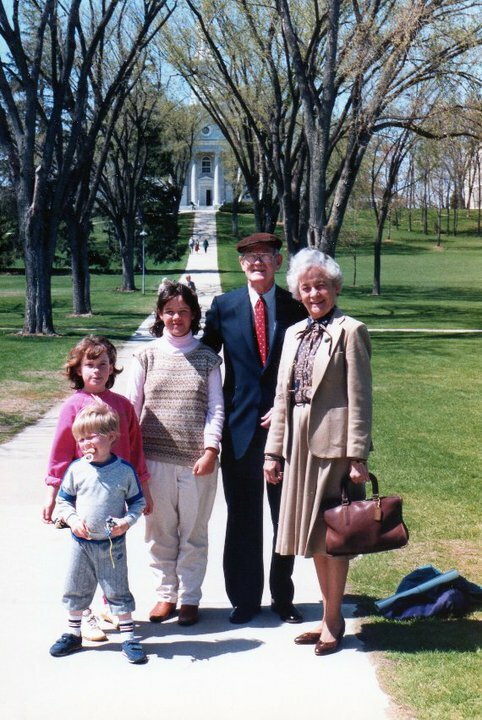 Visiting Middlebury with my grandparents and cousins, spring 1987. In the spring of 1987, I was trying to decide between matriculating at Middlebury or Bowdoin. They were in many ways similar, of course, and I was basically framing the choice as being near the ocean or being near the mountains. Then one day at school, Mr. Warner came up to me; his official title was the “Dean of Discipline,” and he seemed quite gruff, but he was really very sweet and concerned about his students. This seems amazing to think about, but in 1987 a lot of the small liberal arts schools in the Northeast had been co-ed for less than two decades. 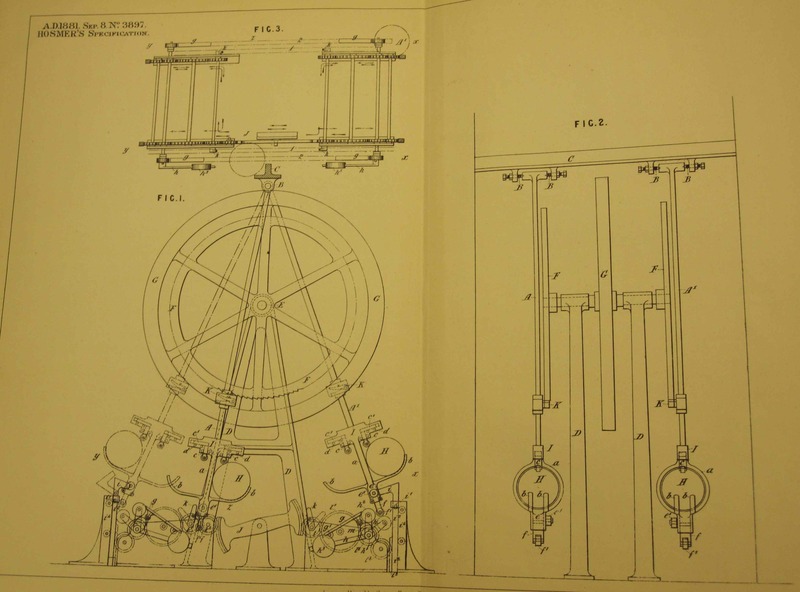 Middlebury, however, had admitted women in 1883. Mr. Warner said, “Bowdoin is still a boys school. 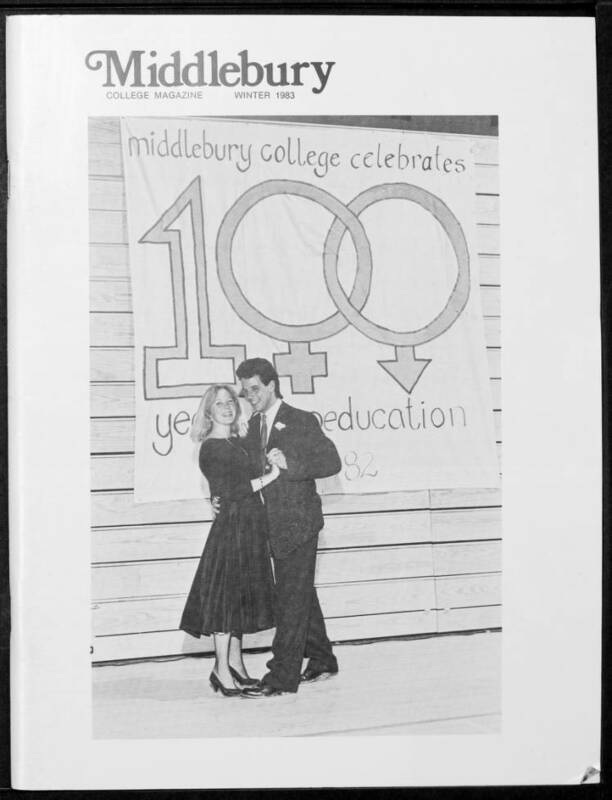 Middlebury has been taking women for over one hundred years. I think you will be happier there.” It really struck me, and while it wasn’t the only factor in my decision, it certainly played a part. (And no offense to any one who went to Bowdoin, which is a great school). I thought of that conversation a few years ago when a friend of mine who is a very loyal Wesleyan alumn noted she wished there had been more older women alumni to turn to for career advice when she first graduated in the early 90s . (Wesleyan turned co-ed in 1970). Anyway, this is all a long prelude to say the Middlebury (Not-So) Old Girls Network has been firing away this week. 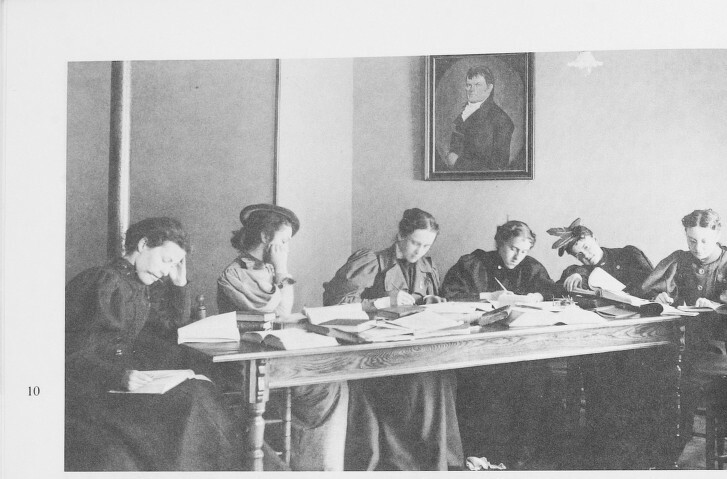 A college pal is the award-winning blogger Book Club Girl, and she allowed me to post some thoughts about Harriet Hosmer and the challenges of writing a biography in honor of women’s history month. If you are in a book club, or just are interested in contemporary fiction, make her blog a regular stop on your trips around the internet. She has giveaways, great guest posts, and lots of fantastic information about new books. She also hosts an internet radio show, giving readers a chance to ask questions of some of their favorite authors. 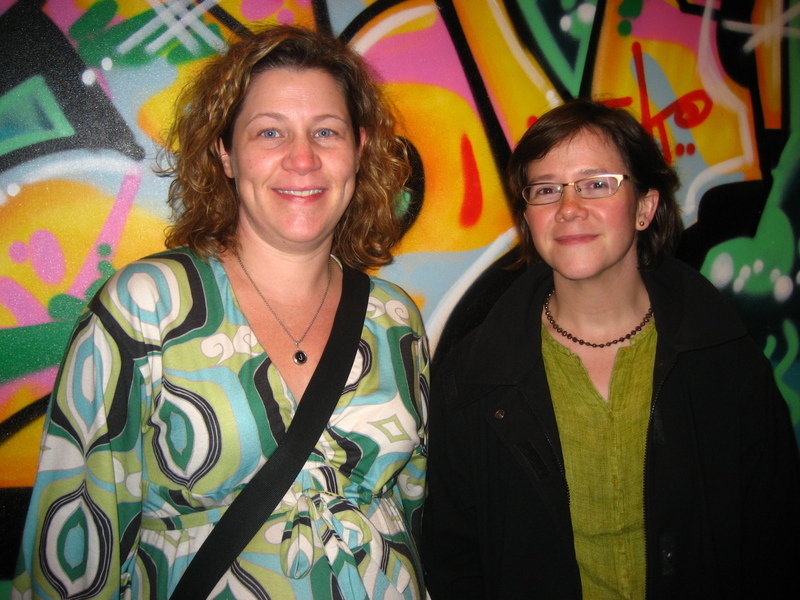 Book Club Girl and me (on the right) at a performance of Howard Zinn’s Voices of a People’s History of the United States in 2008, just a month before her adorable daughter (and perhaps future Middlebury alumnae) was born. By the way, I have written a series of reading questions for Harriet Hosmer: A Cultural Biography.